All of these things have happened to me or my correspondents. Why does Word go wrong? I’m not entirely sure why Word goes wrong. 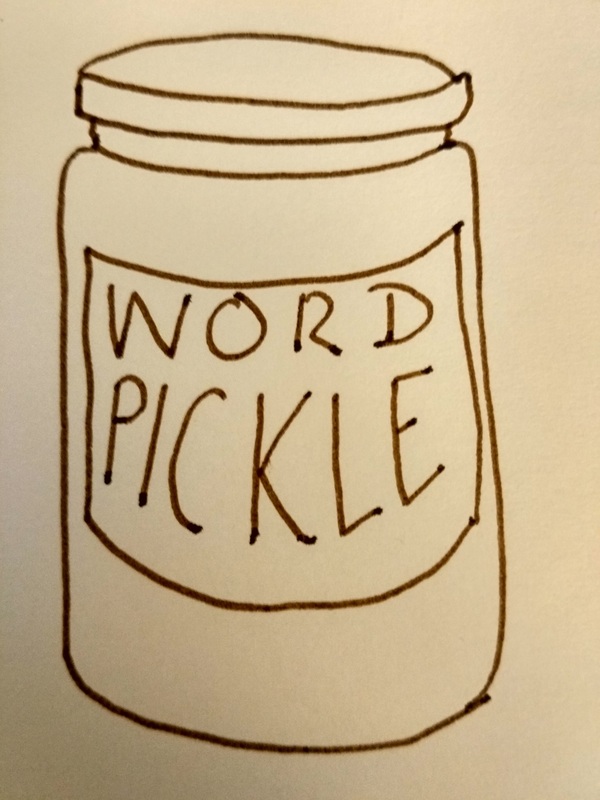 I think it sometimes just gets itself into a pickle; there are too many things, too many commands and codes, too much text … or the originating text comes from an unofficial or unregistered copy of Word, or has been converted from another program. Sometimes if something’s saved as and saved as, or worked over too much, like overworked pastry, it just. goes. wrong. What do you do when Word goes wrong? Well, I have three methods, which are not nice, and are certainly not fun, but do work most of the time. And as the latest person to contact me didn’t know about these, I’m going to share them with you now. Before you do any of these, save your document and then make a copy to do all this with, just in case. Turn it off and turn it on again. I know. But if Word gets into a pickle, sometimes SAVING, closing Word and reopening it can work. Copy the text – all of it. This works in about 70% of cases. This one involves stripping out all the formatting. All your italics and your lovely bibliography. All your headings and styles. But sometimes it has to be done. Note: There is a Clear formatting button in Word (in the Home tab, a little picture of an eraser rubbing out an ABC). But you don’t know that there isn’t something weird just outside where you’ve put the cursor. So I advise using this method. If you’re on a PC running any form of Windows, you will have Notepad as standard. It can literally not bring ANY formatting codes or bits and bobs through from your original document. But you will have to put all the formatting in again, from scratch. I hope you’re found this useful. I know it might read like a bit of a blunt instrument, but if you have a Word document that is not behaving itself and you need to make Word work for you, sometimes this is the only way to do it! If you have found this useful, do please comment and / or share using the options below. Thank you! I’ve had this happen and had to use Methods 1 and 2, but didn’t know about Method 3. Are there any measures to take to safeguard against importing wonky formatting when working on Word documents from all over the globe? I didn’t know about the third method, thanks! My Word at home is reasonably new but the one on the computers at work is older and has a mind of its own. Glad to help – it’s a bit annoying to have to do it but it will always work! My Word’s current weirdness is refusing to do any copy-pasting. Incredibly annoying. I have been known to copy-paste something into Excel for safekeeping until it condescends to work again. I think it gets upset when I’ve spent too long working on my blog in WordPress and ignoring Word! I wonder if method 3 would work for that problem. Hopefully I’ll never need to try it out again, but if I do, I’ll try it out. I’ve never had to go back to plain text, or not in recent history, anyhow. I will make liberal use of Ctrl-q and Ctrl-spacebar to clear out bogus formatting. Ctrl-G and look for section breaks. Of course save, close, and restart Windows. Save as different format, close Word, then open the new format. Make sure NONE of the styles are auto-update. Be careful what styles inherit from what else. Check the default font/format settings are for the doc. Watch out for table styles. All good points, thank you. Good point on checking on the styles. I’ve only had to do the plain text thing myself once or twice in 7 years of freelancing, but I get the question all the time. Thanks for mentioning that one – I’ll add it into the post and will link to you to show who reminded me of it.